When you order PUZZLE BUZZ™ Club today, we’ll send you your first Book for just $6.95, plus FREE shipping and handling. We’ll also include a second Book and a Tote Bag FREE! We’ll then send 2 books about every three weeks for just $6.95 per Book plus $2.98 shipping and handling, conveniently charged to your credit card. 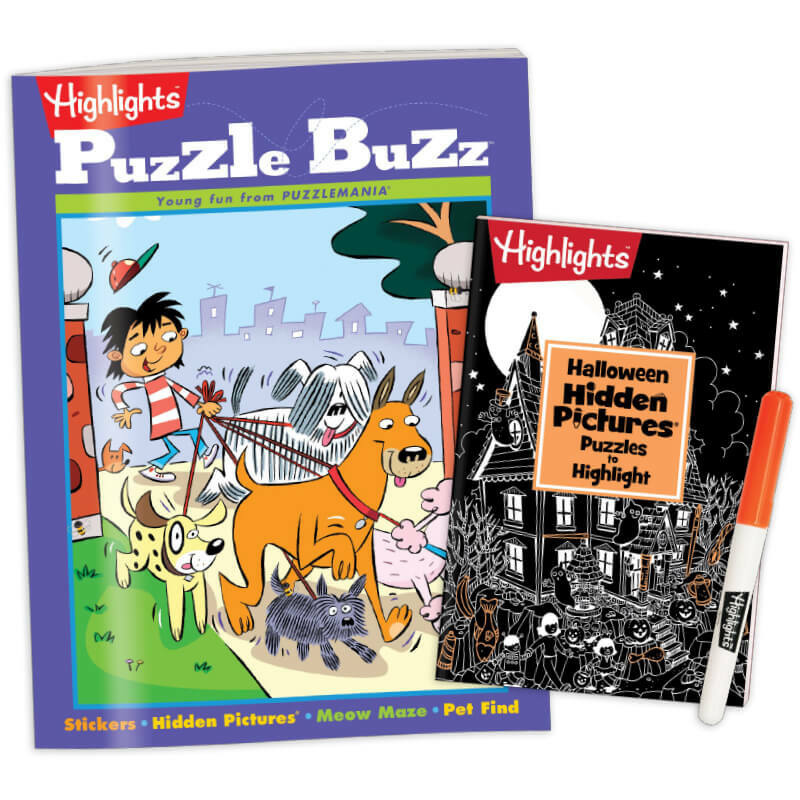 When kids complete all the PUZZLE BUZZ level books, we’ll begin shipping books from PUZZLEMANIA® and then PUZZLEMANIA SUPER CHALLENGE, the next levels up in HIGHLIGHTS PUZZLE CLUB for more experienced puzzlers. If you feel like your child is ready for more challenge sooner, just give us a call to transfer levels at any time.